Originally Aired: April 3 1998 - April 24 1999. Produced by Sunrise Inc., the version watched was dubbed by Animaze and ZRO Limit Productions in 2001. Cowboy Bebop is a hard anime to write about, as it was the first one that I had ever sat down and watched all the way through and it stands today as my favorite show of all time. Before, I never dismissed anime, it's just that I had never really gotten into it, as a lot of the most popular shows (Naruto, One Piece, etc.) had such long runs that "catching up" was a daunting task. During one of my summers in college, I studied at Oxford University and one day my colleagues and I started talking about anime. 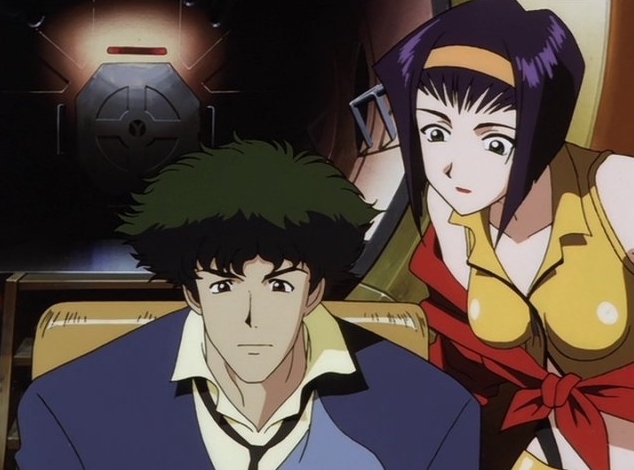 After revealing that I had never watched a full series, one of the friends I had made on the trip suggested that I check out Cowboy Bebop, and when I asked why, he said, "Just trust me." To this day I don't think that there is a better piece of advice for Cowboy Bebop, as it ended up being one of the most fulfilling experiences I have ever had, and is a sentiment most I have spoken with about it felt as well. 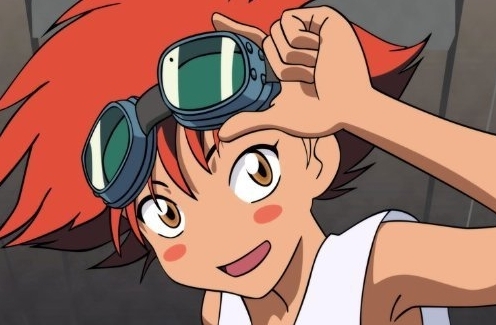 This show first debuted under the tagline, "a new genre unto itself," something that the writer, Shinichiro Watanabe, originally meant as a joke. Whether he knew it at the time or not, his small jab at genre mixing would indeed spawn a new wave of Neo-noir Space Western shows such as Mobile Suit Gundam: Iron-Blooded Orphans, Space Dandy, and even Firefly, all fairly popular productions in their own right. Watanabe's mix of genres also served the show well, as it went on to become one of the most highly praised anime of all time, picking up several awards along the way. Anyone familiar with anime will have at least heard this show, and most will have seen some of it. 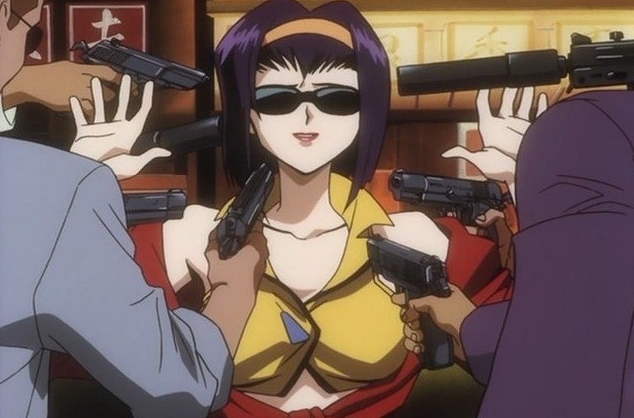 Bebop was the perfect ending to the era of 90s anime, as it exhibited some of the decade's most important themes: loneliness, existentialism, and death, as well as proving how far the anime genre had come since the 80s. 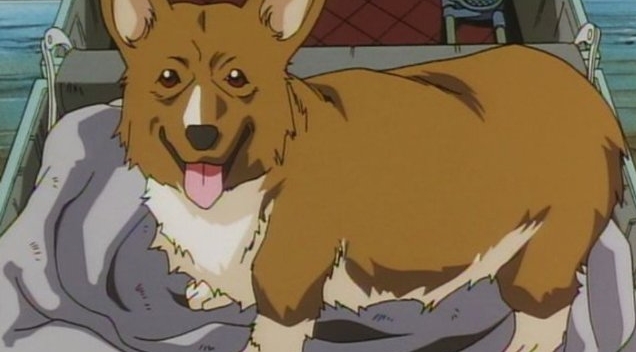 While many influential series debuted in the 90s, none had quite the artistic impact that Cowboy Bebop did. 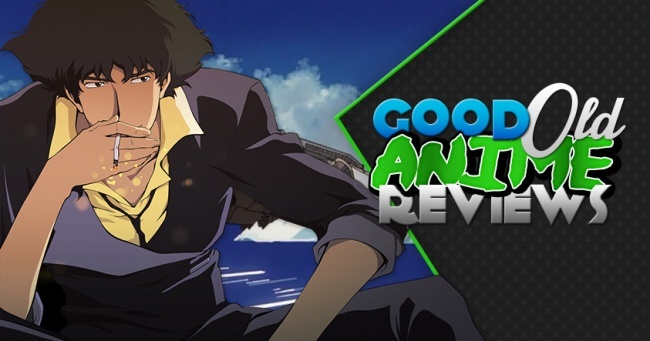 Cowboy Bebop centers on the adventures of Spike Spiegel, a taciturn bounty hunter whose reckless behavior often does more harm than good. As his partner, and the captain of their ship, The Bebop, Jet Black often acts as the caretaker and intelligence gatherer for the ship. Later the crew reluctantly welcomes Faye Valentine, a destructive young woman with a mysterious past, Ein, a super-intelligent Welsh Corgi, and Edward, a teenage girl and the most notorious hacker in the solar system. Most of the 26 episodes are self-contained story arcs that follows one of these characters attempting to collect bounties, but sometimes the show will take time to "fill in" the gaps in the back stories of the characters. I say "fill in" mainly because a lot of Cowboy Bebop's magic comes from mystery, meaning that we only pick up details a little bit at a time, and often ambiguous ones at that. This type of Hemingway-esque storytelling eliminates a lot of problems people have with anime, such as over-exposition and over overblown plots, but keeps the audience engaged as they try to figure out the enigmatic references and behaviors of their characters.